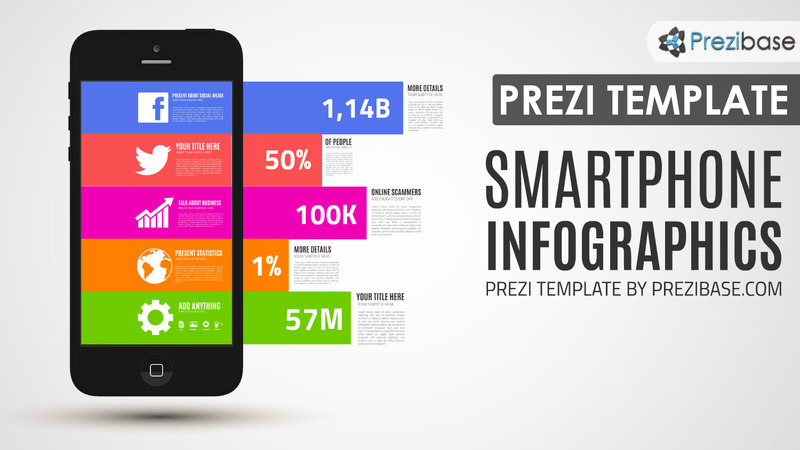 An infographic Prezi Presentation Template with a black smartphone and colorful lines on the screen. Present smartphone app related content, business statistics, marketing results, phone users, texting, data usage or any other content. Good template for presenting data, end illustrating the differences with as a line chart coming out of the screen. Present your new app from App Store or Play Store, talk about texting, mobile marketing, SEO, responsive websites or smartphone addiction or applications. Change the color and size of the lines – zoom in anywhere and insert your own content. This entry was posted in Best Prezi presentation templates and tagged app, app store, apps, data usage, galaxy, google, graph, infographics, internet, iphone, iphone infographics, iphone infographics template, iphone screen template presentation, line chart, lines, mobile, mobile data, mobile marketing, online, phone, phone infographics, phone tabs, play store, prezi template, prezi templates, samsung, screen, smartphone, statistics, streaming, telecommunication, texting.